With steam cleaning and power wash, it will give your home a total brand new look. Most importantly, after power wash and steam clean, you do not need to go through the expense of painting the entire building. We have experienced teams and brand new technological resources that comply not only with rules and regulations set by DEP, but we also guarantee providing excellent results. Steam cleaning is often the preferred renovation method instead of power washing. 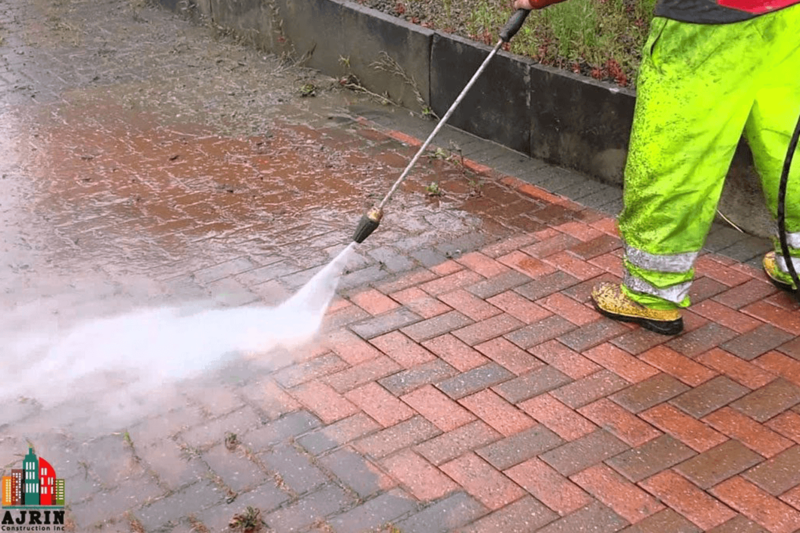 This is because power washing is considered by some professionals as being abrasive and rough for a terra cotta surface application. A well established home maintenance contractor will prepare steam cleaning a particular façade area with a very mild acid solution applied with a brush. Before starting steam cleaning operation, it is very important to know whether there’s need of patching for brownstone or not. For such reasons, you definitely need services from a qualified contractor, one who has years of experience in handling preservation of old brownstone properties.